In addition to being the Co-founder and Executive Director of MedU, Dr. Berman, is a pediatric cardiologist as well as a Professor of Pediatrics at Geisel School of Medicine at Dartmouth. He served as Section Chief of Pediatric Cardiology at Dartmouth-Hitchcock Medical Center from 2008-2015, and was the Pediatric Clerkship Director at Dartmouth Medical School from 1996-2006. He received his medical degree from University of South Florida College of Medicine and has been in practice for 30 years. Dr. Berman is a nationally recognized expert in the development, integration and evaluation of virtual patients in medical education. He led the pedagogical development of the Computer-assisted Learning In Pediatrics Project (CLIPP), served as Editor-in-Chief of CLIPP from 2004-2009, and during that time led the development and validation of a bank of exam questions based on CLIPP content. 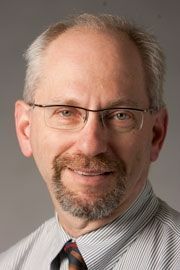 Dr. Berman also served as Project Director for Simulated Internal Medicine Patient Learning Experience (SIMPLE) from 2007-2009, and currently serves on the SIMPLE Editorial Board. Dr. Berman also served for 4 years on the NBME Step 2 Pediatric Test Material Development Committee. Can you shed some light into your background as well as how you got interested in medicine/pediatric cardiology? My background is kind of standard. I went to college and straight to medical school. It was the only thing I was interested in and I couldn’t see myself doing anything else. During medical school, I was pretty open-minded but I ended up liking pediatrics the best, the area I was leaning towards before I began. The nice thing about pediatrics is that when kids are sick it isn’t ever their fault, but that’s not necessarily true in adult medicine. It’s always easy to empathize with a sick kid. I was then exposed to pediatric cardiology and loved it because the kids are dealing with life threatening conditions but the work we do with them provides so many of them with great health outcomes, so we have a major impact on their lives. How did you grow interested in medical education? When I got my first faculty position at Dartmouth for Pediatric Cardiology, I started thinking more about my career paths. Although I was oriented to research, there wasn’t as much clinical research available at Dartmouth because of the rural location. There was however a medical education path. It was apparent that if I wanted to advance academically, I needed to be on the educator track. There was a local project developing virtual patients before the availability of the first web browser. I spent a lot of time working on that and learned some important lessons about using technology in clinical education from that early work. MedU came about from being relatively technology interested at the right place at the right time and things kind of came together. Going forward, what role do you believe technology will play in transforming medical education? What do you think would be the best way to promote adoption? One important fundamental is to view technology as an enabler and not the goal. There’s a lot of ways that tech can help in solving a problem, but we have to think about the problem first. From the standpoint of MedU, one thing we got right in the beginning was focusing on the learning over the technology. It’s not about the flashy features of the technology, but about what actually works for learning. Data, which helps us in creating effective pedagogies, allowing for more improved teaching. Efficiency, to allow us to broadly deliver content. With regards to adoption, I’m a fan of MedU’s model of co-innovation. MedU collaborates with national organizations of educators around nationally accepted curricula, developing content for virtual patient cases. The collaborative development process opens the door for broad adoption. What (2-3) changes would you like to see in medical education today? 1) Addressing Pressing Needs in the Population independent of status quo: Medical education is missing some of the most important aspects of healthcare. For instance, the #1 health issue in the country is obesity, but almost no medical school has enough nutrition education in its curriculum. So, we now have this huge problem, but we are not prepared to address it properly. 2) Addressing Cost of Healthcare: For the most part, physicians aren’t really trained to think about the costs of the care they provide. In practice, the incentives are not appropriately aligned for delivering high quality care at a reasonable cost. Healthcare in this country is unsustainably expensive, but medical schools haven’t done enough to address it. Thankfully, many schools are now currently starting to tackle this issue. At MedU, we are trying to help with our High Value Care Course. 3) Initiative from the ground-up: We need more people taking it on themselves through their own motivation to develop new things. It is a fantastic thing to do. Medical Schools, as we all know, are very selective and tend to have a lot of bright, idealistic students with the right motivation for getting into medicine. Unfortunately, medical education tends to beat that out of them. I would love to see medical education take advantage of that enthusiasm, passion, knowledge, and skills of those going into medicine and provide them an avenue to work on changing the education and healthcare system from the ground up. Many people are very down on medicine these days, and there is a lot wrong with medicine and a lot that the profession can be doing better. Many physicians these days say that they would discourage their own kids from going into medicine. I say that if you can’t find a way to a happy life with an MD at the end of your name, that’s your problem! It’s still a highly respected and rewarding profession which can open the door to a huge range of opportunities.